Bailey E. Felts | Giffin, Winning, Cohen and Bodewes, P.C. Bailey E. Felts received her undergraduate Bachelor of Arts in History with a minor in English from University of Illinois at Springfield and received her Juris Doctor degree from Valparaiso University School of Law. She is a Springfield native who also attended Lincoln Land Community College and Springfield High School. 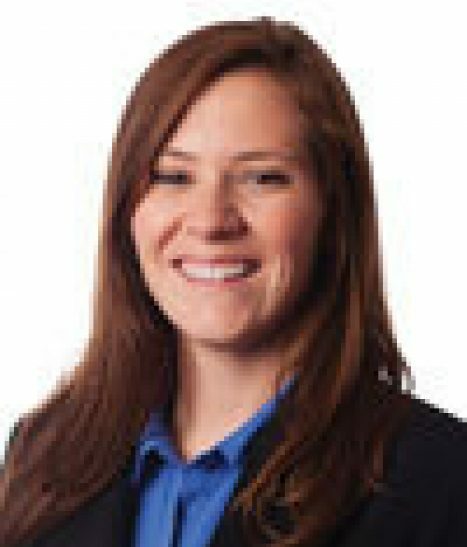 Bailey started her legal career in the Sangamon County State’s Attorney’s Office. While with that office, Bailey worked as the Chief of the Juvenile Division and spent time as a felony drug prosecutor in addition to handling a variety of other cases. Bailey also worked as a Public Defender before transitioning to the Illinois State Bar Association where she worked as Assistant Counsel. In addition to her legal career, Bailey is also an engineer Second Lieutenant in the Army National Guard and a volunteer with the North County Teen Court.